Earlier this month at the Natural Products Expo West 2011, Udi's Gluten Free Foods and Rudi's Gluten-Free Bakery both announced the upcoming release of gluten free hot dog and hamburger buns - two of the most highly anticipated products in the industry. As someone diagnosed with Celiac disease nearly 8 years ago, I must adhere to a strictly gluten free diet - and while gluten free products have become almost mainstream in the past few years, there have been relatively few attempts at commercially produced hot dog and hamburger buns, most likely a texture issue. Texture is one of the greatest challenges for gluten free baked goods, and finding a way to reproduce the soft, pillowy texture of sandwich rolls appeared to be impossible - until now. Recently, Udi's and Rudi's, both based out of Boulder, CO, have become serious competitors - and not just in name - both companies produce exceptional gluten free multigrain bread that is light, fluffy, delicious and relatively low calorie. The simultaneous bun launch has everyone buzzing with excitement. 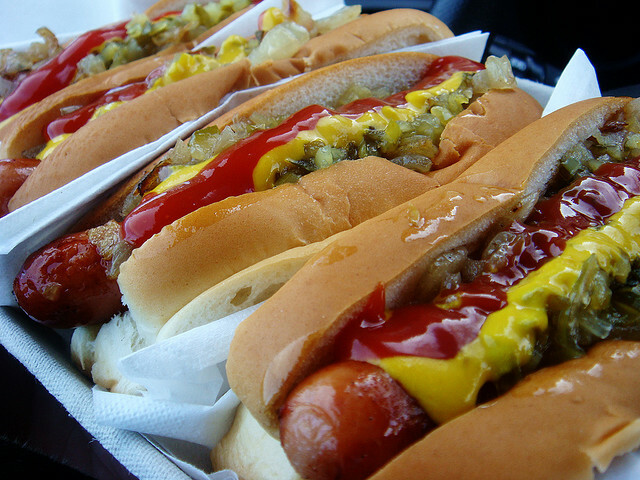 Both companies plan to have their hamburger and hot dog buns on grocery store shelves by the beginning of summer, too late for National Hot Dog Day (today!) but just in time for grilling season.